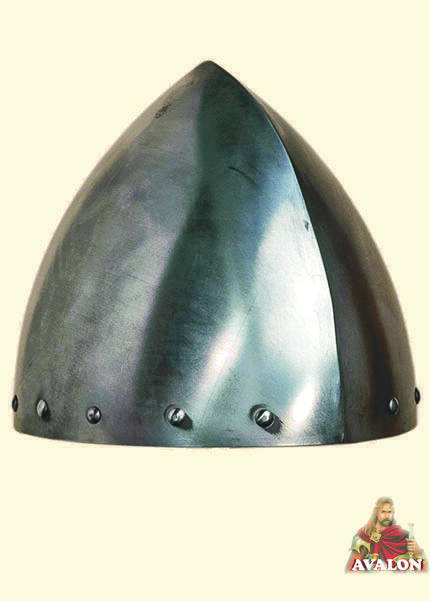 Conical helmet 'Olmutz', battle-ready, also called Moravian nasal helmet. The Norman Helmet is made of sheet steel and got a comfortable liner from leather with a chin strap. We offer this helmet in four sizes.